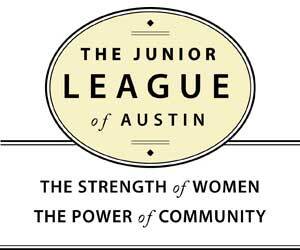 With a membership of 2,200, The Junior League of Austin is an organization of women committed to promoting volunteerism, developing the potential of women and improving the community through effective action and leadership of trained volunteers. Its purpose is exclusively educational and charitable. The Junior League of Austin was named “Outstanding Philanthropic Organization” by the Association of Fund Raising Professionals/Austin Chapter in 2012. Each year, the Junior League: • Distributes 30,000 coats at Coats for Kids; • Feeds 1,500 children facing food insecurity each weekend of the school year with Food In Tummies (FIT) Program; • Funds ABC Grants to local teachers; • Partners with at least 25 non-profit agencies to provide volunteers and grants to support a variety of community needs; and • Contributes more than 100,000 hours of volunteer service. Every dollar donated to the League is tripled in value when combined with their volunteer workforce.